Archaeological sites are so abundant throughout Israel and fascinating to explore, but what’s the best way to truly grasp their historical context? 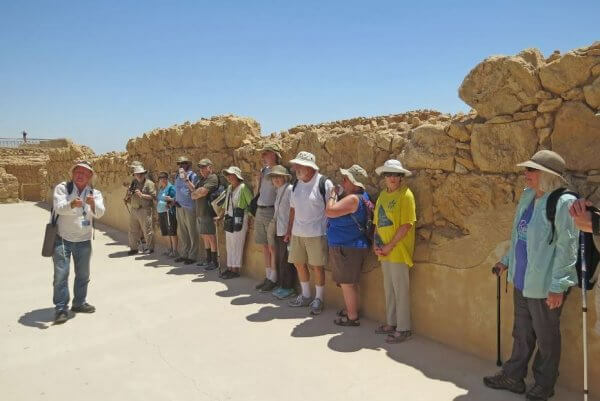 When it comes to trips that focus on Israeli archaeology, your tour guide truly makes all the difference! With so many destinations to see ancient relics, it’s important to have a licensed tour guide at your service. Having someone to delve into historical accounts is a crucial component of a journey because it ensures that the traveler’s knowledge is enhanced. When you’re going on an archeological tour, you want a guide who will pique your interest and provoke your thoughts. One guide who carries such a deep and wide knowledge of the field is the brilliant Dr. Dudu Cohen. With three degrees from The Hebrew University of Jerusalem, one each in Archaeology, Geography, and Hebrew Bible, his formal education is rich and varied! A qualified guide like Dr. Cohen is keenly enthusiastic about teaching archaeology. His animated personality makes him approachable— happily answering all questions in a thorough manner. Gil Travel is excited to announce that in 2017, Dr. Cohen will be teaming up with Professor Carl S. Ehrlich of York University in Toronto for a JEWISH EXPLORATIONS study tour examining In the Footsteps of Ancient Israel and Its Rivals. You won’t want to miss this rare and exclusive opportunity!